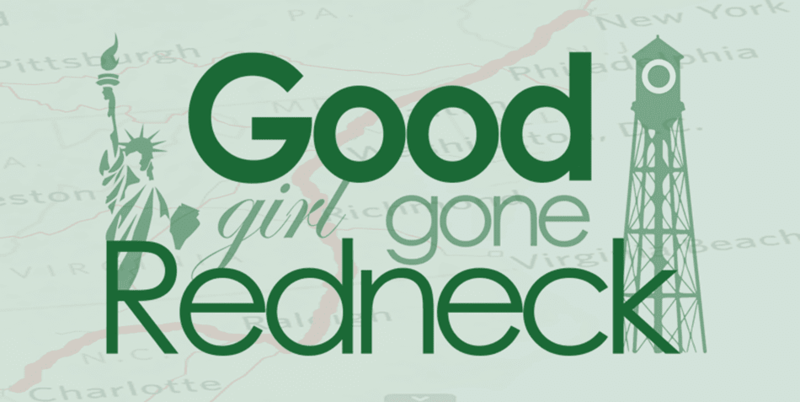 Good Girl Gone Redneck: 1000 Voices. And I am one. 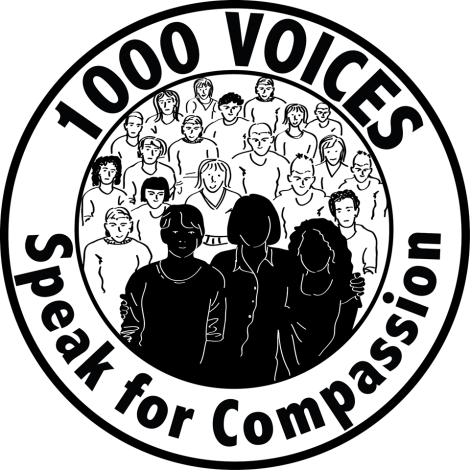 1000 Voices. And I am one. Voices. Connecting. Gathering together. Speaking loudly. When I learned about this event I decided pretty quickly that I wanted to participate. If you don't know me already, you'll learn quickly that I believe that advocating for others is extremely important, and that raising our voices when we need to be heard is extremely powerful when we do so together. 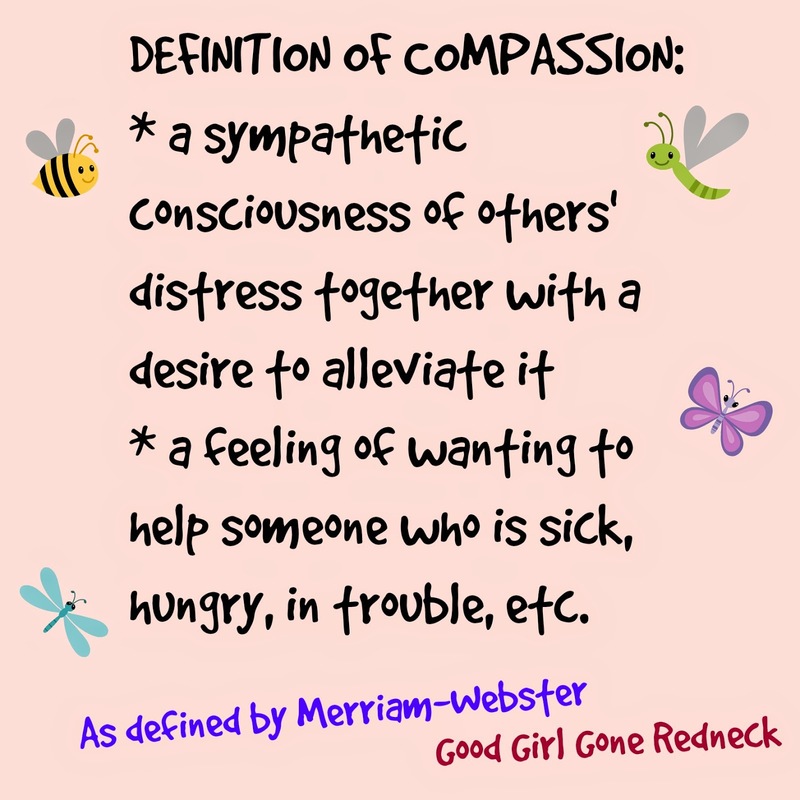 So - compassion - where to begin? Compassion can mean so much to so many. Do you recognize these feelings? If so - you know what compassion is. You probably feel it quite regularly. Many people do. I'm not going to lecture. I'm not going to praise. I'm just going to give you a few ideas of ways you can show compassion that won't take too much out of your everyday life. If anything - it will give you so much - you, your loved ones - so much. You might not have money to spare for the woman on the train. You might feel like you've barely got enough to scrape by for yourself, let alone the man in the road with the sign asking for help. But make eye contact. Show you recognize that they are people. It's not always enough - many of us want to do more, while many of us feel exhaustion and frustration - like we're constantly being asked to give. But think about it. We are often asked. Because we're on the way to work and they don't have a job. We're headed out to dinner and a movie and they're looking for a place to sleep. So maybe you can't spare some change. But you can look them in the eye. Maybe even smile. You know your friend? The one who is facing depressing thing after depressing thing? Just listen to her. Give her some of your time and sit down with a cup of coffee and LISTEN. Remind her that someone cares. You've got 30 minutes to spare, right? Pick up the phone. And then ask her how she is doing. Raise your voice. Write. Find a cause that matters to you. A person. Friend. Relative. Stranger. Raise your voice and share what matters and why. You'd be amazed at the power of your words. Three simple things. Things we do every.single.day. Find a way to show who you are - share your heart - by looking, listening and speaking. It's our duty, as people, to let it shine brightly. To show just how much it can do for others when it slips out. 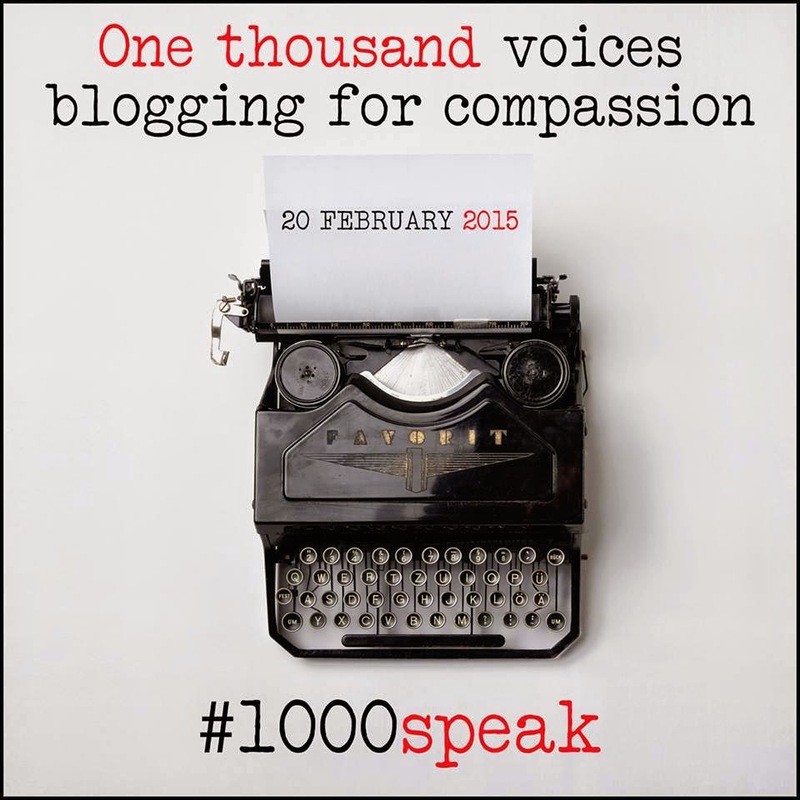 If you're interested in joining me and 999+ other voices in sharing our thoughts on compassion today, please head over to 1000speak.wordpress.com. Write something and link up. Share your own words. Thoughts. Emotions. Read. READ. There are so many posts about compassion. It's BEAUTIFUL. "Feel all the feels (because the feels will be amazing)." If you're looking for all of the posts - and possibly where to link up your own - click the giant "button" below and you'll be there instantly. Yes -- three simple acts! Love it! Very well said, my friend. It warms my heart to see you, and so many of our friends joining this movement. I know we can inspire change, and I feel so blessed to be a part of it with you. Look, listen and speak---so very true. All it takes is a minute to share a bit of compassion and it can change someone's day! Hooray! I love your post on compassion and also how you speak about advocating for others, something I try to do each day. Lovely post, Andrea. Yes...just be present for someone. That was my post. I broke down at a Starbucks drive through and she listened. Sure, she was probably scared as all hell but not once did she rush me out. She just listened. That's all we need. Acknowledgment - that we matter. 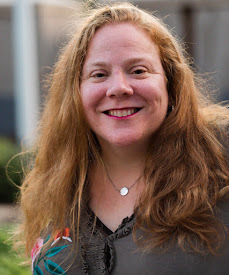 Listening is indeed key, and it's one of many things I've been thinking about, and sharing about, reading #1000Speaks posts, and delving into the discussions. I know listening is important to me-- I've wandered nights and talked to retail workers on the graveyard shift, because they were MUCH more likely to listen! Not to mention they had time to share some things with me.